Drake and Odell Beckham Jr. watched as Kourtney’s ex, Younes Bendjima, viciously beat a man outside a West Hollywood nightclub check out the video inside! The family that everyone is so very fascinated with, comes across my timeline about 10 times a day, everyday. Yes, you all know the The Kardashians are always the talk of the town and what better question to ask than, which one is your favorite? It is definitely possible for you to say that you like all of them for different reasons but only relate to some of them. So let’s hear your thoughts? 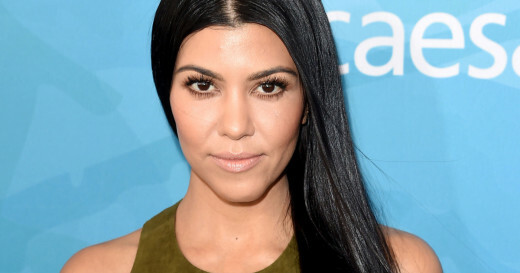 Kourtney Kardashian was recently spotted getting a tan for a weekend holiday break. She was spotted with her kids of course at Miami Beach. Now, I know you all want to know the tea of her and Scott but he was apparently nowhere to be found. Now, back to picking a favorite Kardashian I personally like Kourtney and Kendall Jenner the best. The seem the most real to me and I feel like if all the fame was to leave their family today that those two would be the most susceptible to adjust their lifestyles. It is obvious that they are not dependent on this thing called fame. So remember when we told you Rob Kardashian had temporarily moved in with his rumored girlfriend Blac Chyna? Well, now we know why! Allegedly. 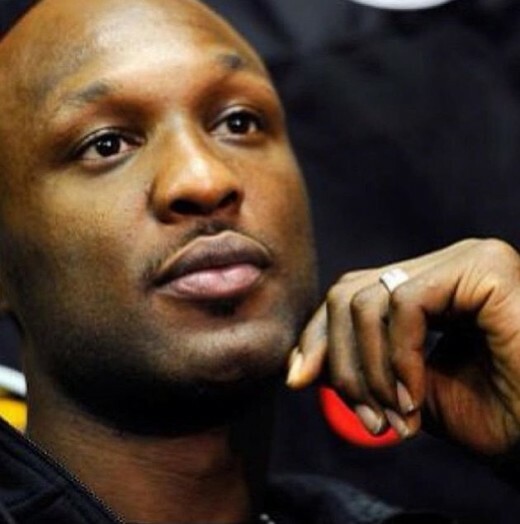 As you may know if you watched any of the Kardashian reality shows, Rob has been living with his sister Khloe Kardashian for years…even when she was happily married to Lamar Odom. Last week, Khloe returned to her home after a promo run for her new book only to find Rob and Chyna standing around in her kitchen. Apparently, there were bottles of liquor scattered around the kitchen as well as trash and that set the Kardashian sister off! Odd that Chyna’s supposed best friend Kim didn’t feel as passionate about defending her honor when Kim’s little sister Kylie slid in on her man and baby’s father. The “Kocktails With Khloe” host then made it clear – Rob had to go. So, he went to Chyna’s house and has been there for the last week or so. 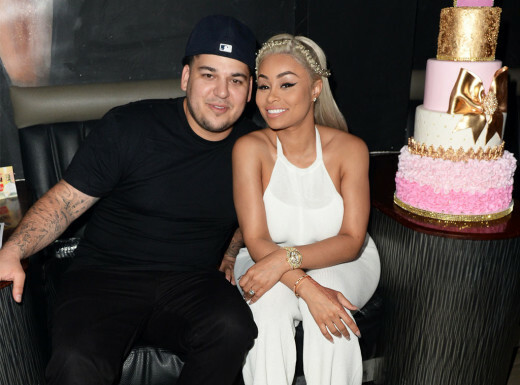 As we told you, the Kardashian Klan is PISSED Rob is getting close with Chyna, considering their long-going feud with the video vixen, who’s the mother of Tyga’s son, King Cairo. But some sources say Chyna isn’t steering him in the wrong direction and is in fact helping him get into shape. She posted a pic from a recent gym session to prove it. A new episode of Khloe’s late night talk show “Kocktails With Khloe” aired last night and she had Tyga and Scott Disick (Kourtney Kardashian’s baby daddy) on the show. Things got totally awkward when Khloe asked T-Raww to play a game of “F*ck, Marry, Kill.” Kylie Jenner’s boyfriend was asked to choose amongst Kourtney, Kim and Khloe. And that smirk on his face? Eww. Peep the clip above. 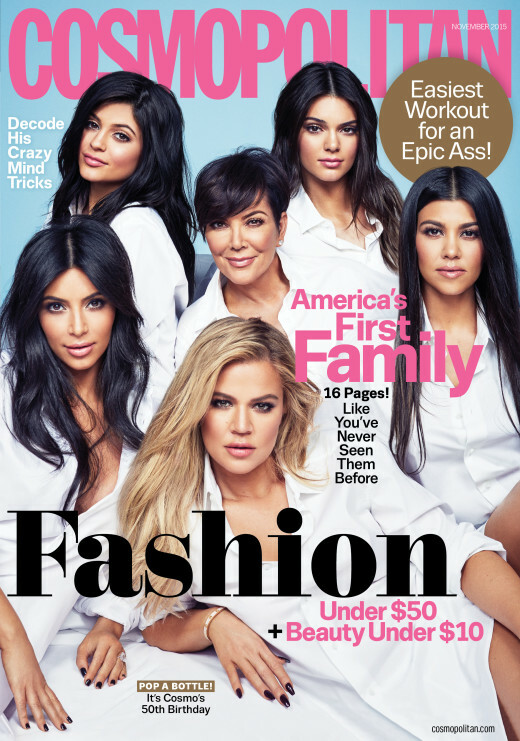 The Kardashians Cover the 50th Anniversary Cover of Cosmopolitan Magazine! The first family of entertainment in the social media world covers the 50th Anniversary issue of Cosmopolitan Magazine. The family is known for their rise to fame, noterity, and fashion sensibility; they a lot in common with the magazine that’s been celebrating womanhood, faame, fashion, and fun for over fifty years.